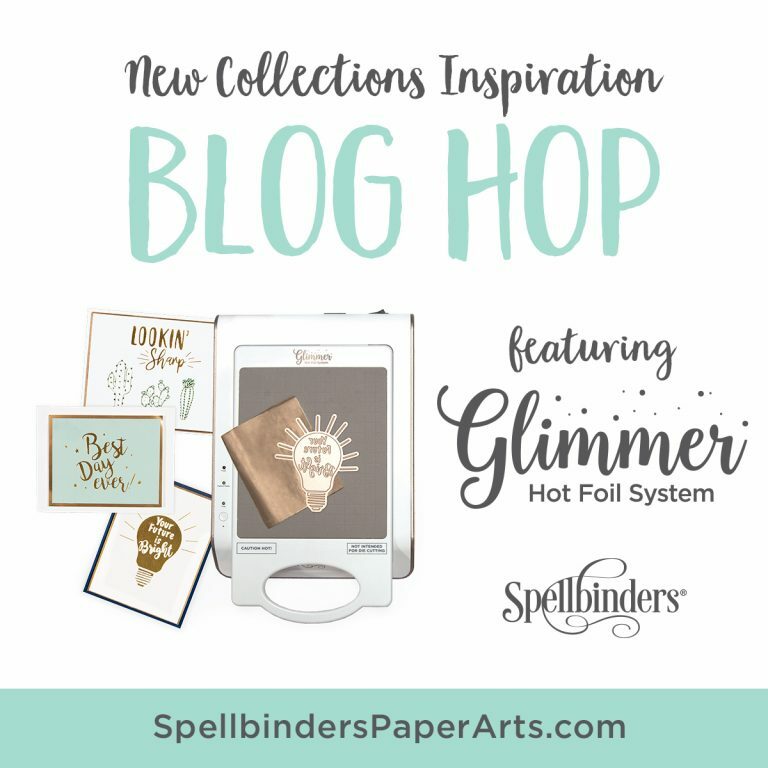 We are happy you are joining us for our Glimmer Hot Foil Release Blog Hop! As always, we are thrilled to show you our new products, share inspiration and of course host a giveaway! 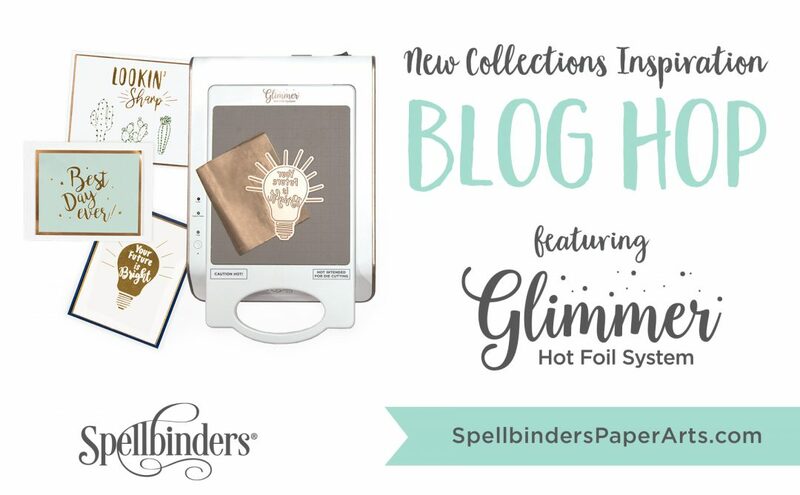 Take a few minutes to browse the new Glimmer Hot Foil products we have in the store for you! 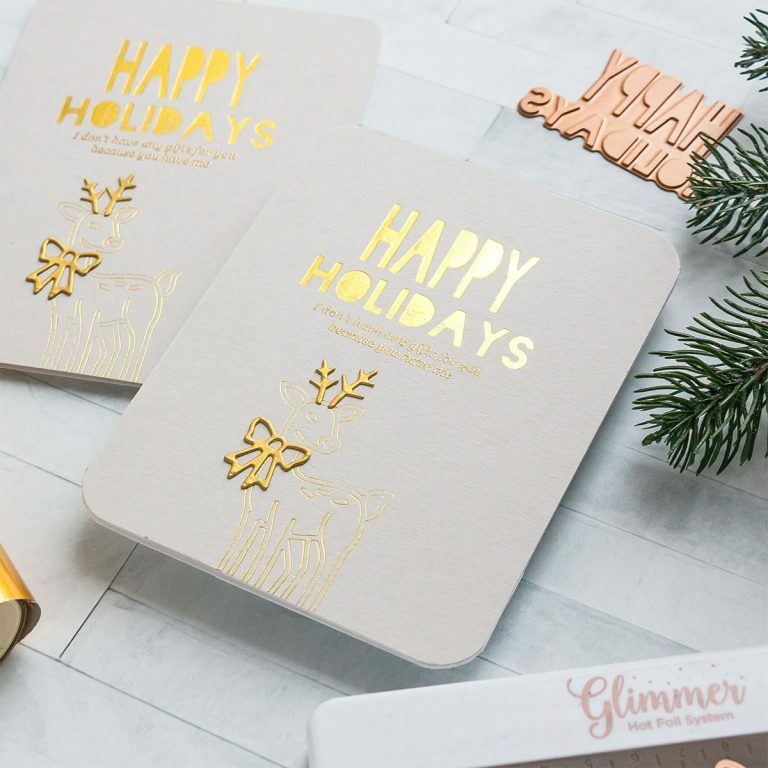 We have our creative designer, Yana Smakula, sharing a video tutorial with us today showing how to use Glimmer Hot Foil Plates together with Etched Dies. We hope you’ll love it! Did you know you can add hot foiled effects to your handmade projects using not just Glimmer Hot Foil plates but also your thin etched dies? 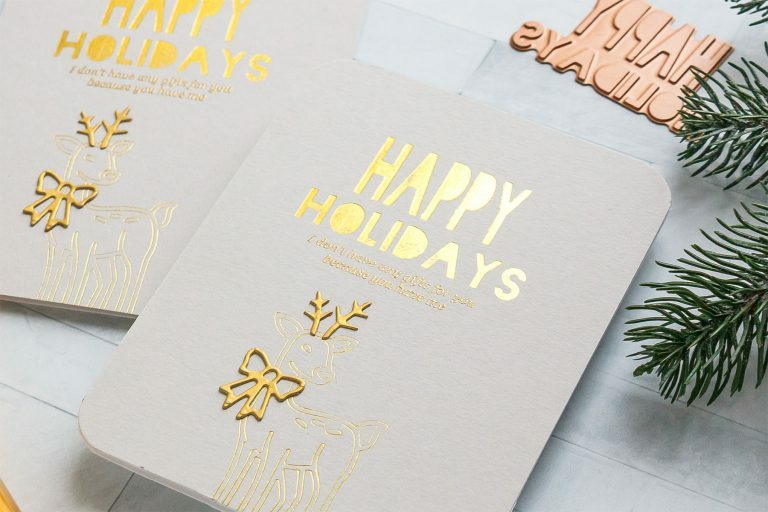 I picked a beautiful modern Happy Holiday hot foil plate and also a deer die from our November Small Die of the Month Club to create this project today. I was able to foil both in Gold with a single pass through the machine by adding one extra shim to my sandwich. Be sure to watch video tutorial below or on our YouTube channel to learn how you can create this project. Once my foiling was done I used a pencil eraser and removed over foiling that I had in several places. 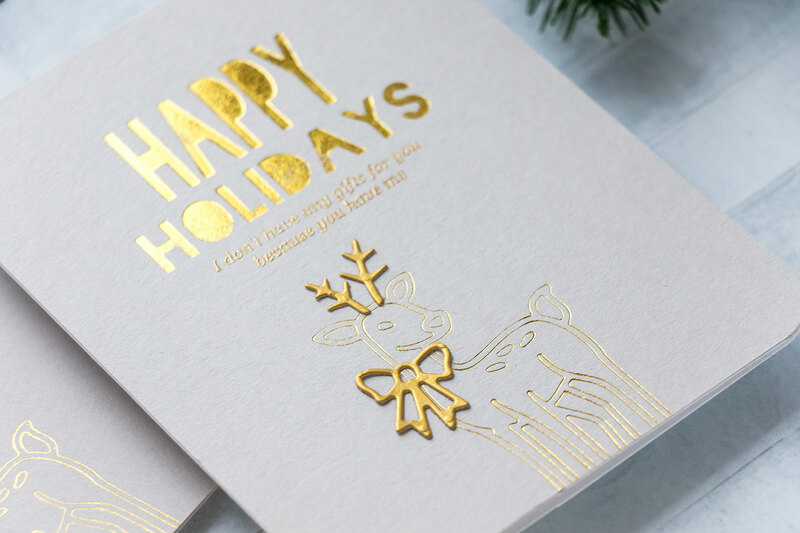 I also Gold heat embossed an additional sentiment under the Happy Holidays to spice this card up. The deer die I used to foil with today also comes with a separate antlers die and a bow die so I die-cut both out of gold cardstock and adhered onto my panel. Finally, I adhered the panel onto an A2 white side folding card base and rounded the corners. Browse our blog for more inspiration featuring this unique collection! To celebrate this release, we are giving away a $50 gift certificate to one blog reader – selected from the comments across all of the blogs in the hop. Giveaway closes on Sunday, November 18th 11:59 pm EDT. The winner will be announced in the blog hop post the following Monday. Winner is responsible for shipping cost, duties and taxes. 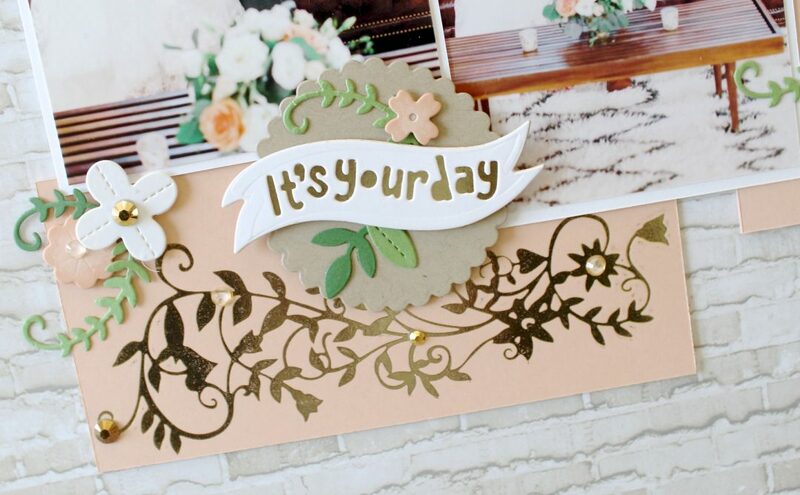 We’ve got lots of inspiration waiting for you created by our fabulous guest designers! Be sure to visit each one of their blogs and leave them some love! On how I hope there is one of these for me under the Christmas tree this year! What beautiful cards they make practically by themselves. 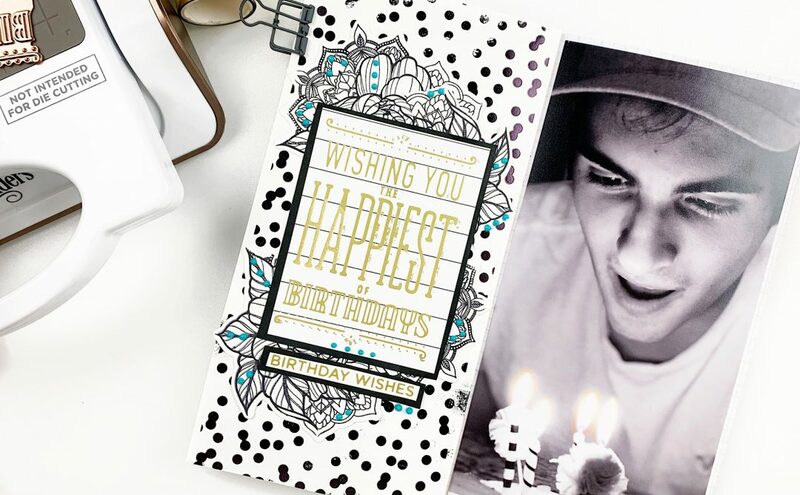 Oh boy after watching your video now I am wanting the Glimmer Hot Foil System so I can start creating fun cards just like the one in the video! I am so grateful that Spellbinders has introduced a foil machine because your embosses as well as foils!!!! LOVE SPELLBINDERS!!!! I love my Glimmer machine! I’m having so much fun figuring out which of my own dies will work (so far, all my Spellbinders work!! Sizzix, that’s touch and go), and I hope there will be even more Glimmer plates with a shadow die, that’s the only downside I see, especially with the fancy Christmas plates (which are Beautiful!!). Super beautiful cards. The real wauw effect!!! The foiling adds a professional layer to all the work put into the cards, well done all. Tell Santa that I want to find this in my stocking! Beautiful cards. So fun! Beautiful cards and this Glimmer foiling system looks amazing! The Glimmer Hot Foil machine looks so awesome. I always wanted to foil my own cards but all the other systems did not appeal to me. Love that I can also use dies that I already have!!!! This looks like a wonderful machine. I love the look of foil on cards. Thanks for the opportunity to win! 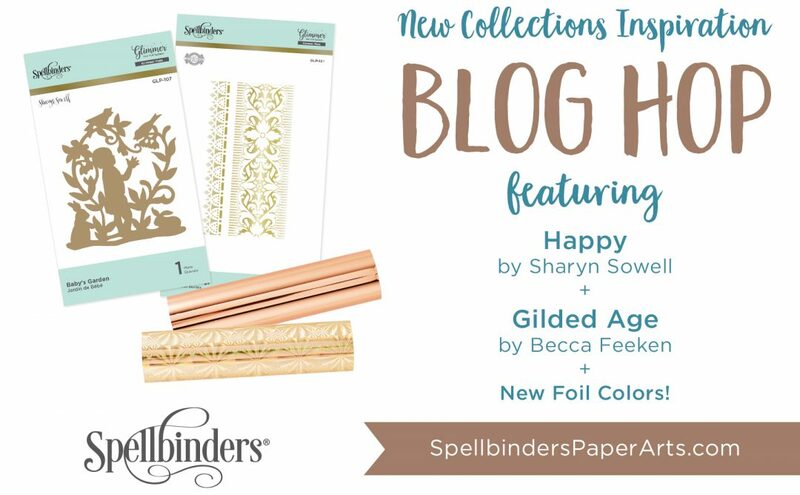 Love the addition of the Hot Foil to these fabulous designs! Love that sparkle! Such beautiful cards created with this machine! I’m hoping for one for Christmas! Thank you for always creating wonderful products for us to create with!